...if you create a brand new site focused on providing advice to consumers buying homes, and you make your revenue from advertising, you must figure out how to differentiate it. Potential linkers, or people on social media sites that share content related to buying homes, aren't going to share your new articles on mortgage tips ..., unless the articles say something very new, different, and compelling. You may require these articles on your site to make it complete, but don't expect to build an SEO or social media strategy around it. What is your strategy for extreme differentiation? Don't have one yet? Now is a great day to get started! @LP: I am with you on this (PHP, etc. ), and I already expressed my opinion about the quality of PHP code in WordPress and potential security risks - in other discussions (look for my recent posts). However, do not take that specific article as a 100% truth. While correct in general, many specific details are not. Why don't you just try for yourself? Installing WP takes literally 5 minutes, as long as you have Apache/MySQL/PHP at your disposal. MySQL can be anywhere, of course, and you can specify the remote host. Apache and PHP can be at your PC, so you can easily play with the themes, plugins and the core code - as a PHP programmer and not as a WP user. You will see everything. If you compare to other open-source CMS/Blogging platforms - they will suffer more or less from the same "diseases". If, however, you desperately need a solution for content editing, and you do not want to spend $ on a commercial - there are two ways, in my opinion: a) take WordPress, find a premium theme, which will provide you with all the functionality (that will cost $ instead of $$$) - and use ONLY that theme and only their plugins. Once you start mixing plugins from different vendors, one day you upgrade one, and it will bring down another, because they do not know each other, and write whatever they want, overriding the core functionality. 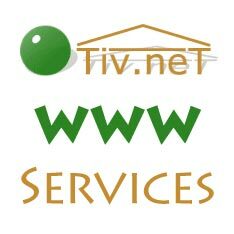 © TIV.NET INC. All Rights Reserved. Simple theme. Powered by Blogger.